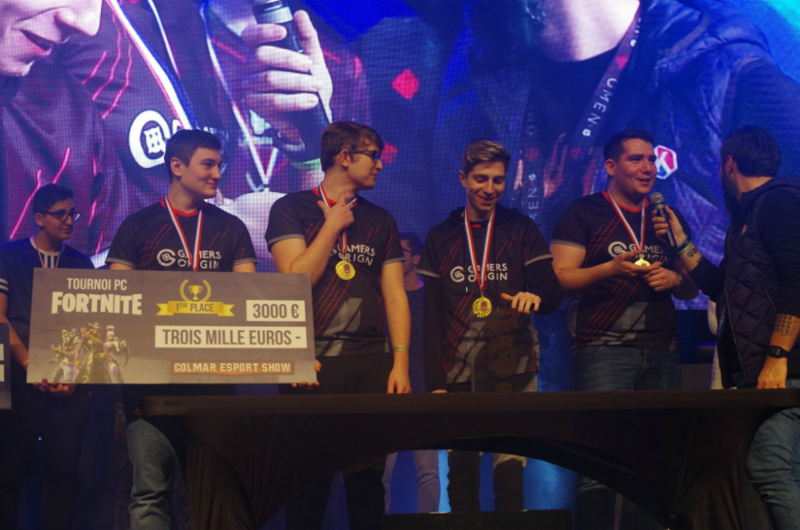 The GamersOrigin Fortnite lineup claimed its fourth trophy in Colmar during the Colmar Esport Show. M11Z, Lenzh, Deadra and JuleZ played almost perfectly, with 6 Top 1 and 5 Top 2 among 14 games. The players managed to maintain an incredibly high level during the whole competition. They are dominating their games and it pleases me. The LAN suffered from Internet connection issues, leading to delays and to a BO3 final instead of a BO5 one. The GO went Top 2, Top 4 and Top 1 during these 3 games and secured their new trophy. 2019 is starting well for GamersOrigin thanks to this victory. The team last success was in November 2018 at the HFLAN. The players are now focused on their next event: the Lyon Esport, from February 222nd to February 24th #GOWIN.